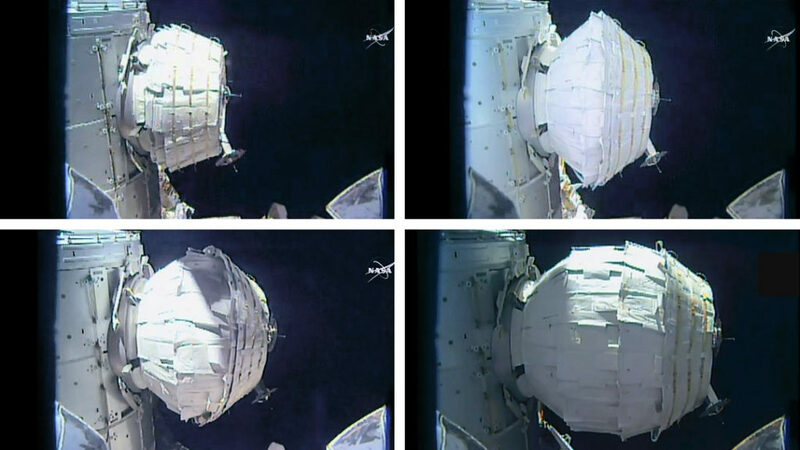 May 30, 2016 – The Bigelow Expandable Activity Module (BEAM) was expanded to its full size at 2:10 p.m. MDT on Saturday, May 28. Expansion was completed as the International Space Station flew over the south Pacific at an altitude of 252 miles. NASA Astronaut Jeff Williams and the NASA and Bigelow Aerospace teams working at Mission Control Center at NASA’s Johnson Space Center spent more than seven hours on operations to fill the BEAM with air to cause it to expand. Williams opened the valve 25 times for a total time of 2 minutes and 27 seconds to add air to the module in short bursts as flight controllers carefully monitored the module’s internal pressure. Time in between bursts allowed the module to stabilize and expand. Williams then began the final step to open eight tanks of air stored within the BEAM to pressurize the module. Pressurization of the Bigelow Expandable Activity Module (BEAM) began at 2:34 p.m. MDT, and the eight tanks completed full pressurization of the module 10 minutes later at 2:44 p.m. BEAM’s pressure will be equalized with that of the International Space Station, where it will remain attached for a two-year test period. During the next week, leak checks will be performed on BEAM to ensure its structural integrity. 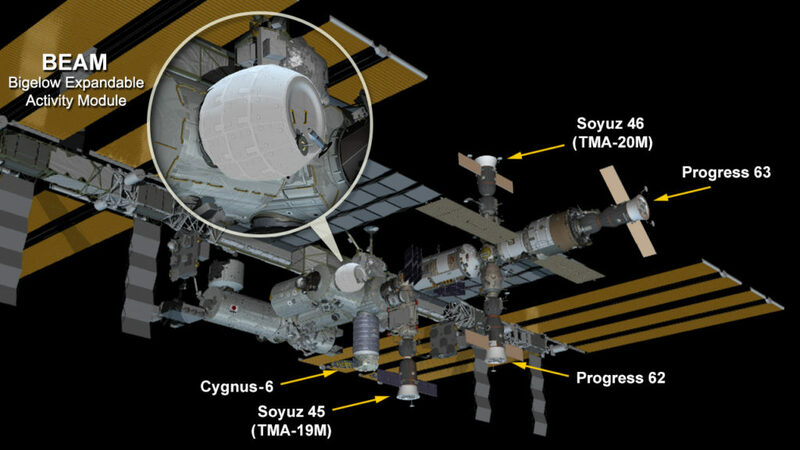 Hatch opening and Williams’ first entrance into BEAM will take place about a week after leak checks are complete.